The folks at Hay Festival Winter Weekend have announced the line-up for their largest winter festival to date, giving you plenty to rev up your writing this frosty season. It all takes place in Hay-on-Wye from 23rd till 26th November 2017. See how many participating writers and speakers you can spot in the montage above. Inspiring participants include novelists, storytellers, illustrators, journalists, comedians, chefs, sports tars, composers, musicians, poets, actors, broadcasters and more. Look out for Robert Macfarlane, Jeanette Winterson, Shazia Mirza, Matt Haig, Nikesh Shukla, Patrick Barkham; Matt Lucas, Catrin Stewart, Jeremy Vine, Monty Don, Jackie Morris, Gillian Clarke, Owen Sheers, Ed Vere, Catherine Barr, James Campbell, Anna Jones and Hay Community Choir, among others. “Hay Festival Winter Weekend is now in its 18th year, blending literary conversation, immersive performances and interactive workshops, with the best of the town’s seasonal shopping and a chance to explore the famed natural surroundings in all their autumnal splendour,” says Peter Florence, Director of Hay Festival. A new venue will double the festival’s seated capacity, while events begin a day earlier than in previous years, with programmed talks and performances from Thursday 23 November. Tickets are on sale now. 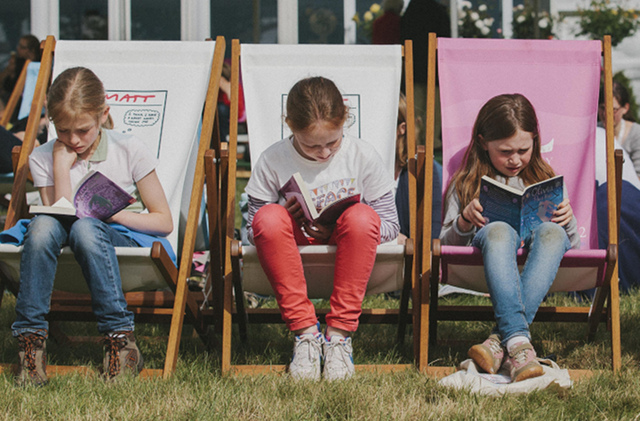 Book online at hayfestival.org or call 01497 822 629.